If you’ve been thinking that there’s been a distinct lack of new videos from me over the past few months, you’re were not wrong. Well now I can tell you the reason for the video hiatus. 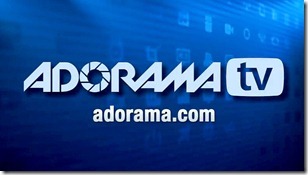 Earlier this year, I teamed up with ‘>Adorama to create lots of new Photography and Photoshop videos. These will be freely available right here on my blog, on my Youtube channel and also on Adorama TV. This is a really exciting new venture for me as I’ll now be able to create more videos more often and Adorama have given me plenty of freedom to create the style of videos you all enjoy. So who are Adorama? Well, they’re a well respected photography store. Based in New York they’re just as passionate about helping photographers as I am. To that end they’ve been running Adorama TV for the past few years with regular contributions from such photography luminaries are Mark Wallace, Bryan Peterson and Tamara Lackey. For Season 3 of Adorama TV they’ve added a few new presenters including myself, Rich Harrington and the legend that is Joe McNally. The new videos should start appearing later this month. Congratulations on hitting the big time. Adorama TV is great and Bryan Peterson is totally brilliant. I look forward to seeing the new videos. There is a tinge of sadness though in that I hear you’re giving up evening visits to camera clubs. Great news Gavin. Looking forward to them. I really do enjoy following your tutorials. Best news ever! Can’t wait for your videos Gavin! This is great news. Adorama is a wonderful partner. Yes, I have missed your videos. Still go back as watch them over. Excited for you and your new gig. Hope they continue to be the real Gavin Hoey and not something “they” want you to be. Well done Gavin, does this mean you will not longer be visiting Camera Clubs….LOL . Look forward to seeing the videos. Thanks Lorraine and don’t worry, I’ll still be poping up at camera clubs from time to time. Congratulations Gavin, i watch Adarama tv on youtube, with you on board it can only get better. That’s great news! I only just found your videos on YouTube today and am glad to hear that there’s more to come! Congrats! Congrats Gavin…I am guessing you are one happy man! Congrats Gavin. If Adorama ever invite you over to NY make sure you let us know. There are a few of us in that neck of the woods who would love to meet you and thank you for your hard work and inspiration in person. Yes, congratulations on this new venture with AdoramaTV. They have great learning tutorials, and Adorama camera store is a wonderful place where I purchase my camera equipment, especially when I was living in NYC. I’ll be looking forward to your great videos. You are the best Gavin, congratulations!! Salud from Barcelona. Wishing you much success with your new partnership, Adorama is the place to be, wish they would open a store over here! Love watching and learning from you. Great news for you Gavin, I can’t wait to see your new series. Are you replacing Mark Wallace over and AdoramaTV? Nobody say’s it like you Gavin, wish you well and good luck. What a great addition to a already good group of people. I am really looking forward to seeing more of your tutorials, they have been a GREAT help. Gavin, you fit in well with that team, you all have a great style and the diversity in the videos will be awesome. I have enjoyed Mark and Bryan and the bigger cast will help us all. Hope you can still do 15 minute photo challenge. As a busy person with a real job sometimes getting to shoot is a chore. I have done some 15 minute photo challenges myself and yes they do work and walk away with a few keepers every time. Gavin you’re awesome and I have learned so much of your video’s. I enjoyed the PHOTO RESTORATION youtube presentation but had no success with the Adorama banner below (at point 125 on the video). When I type in that address, I get an OOPS back saying that something is missing. Since I am very interested in the subject and would like to see what Adorama has to offer, could you send me the correct link so I can explore the subject in detail. Your easy manner and willingness to share your knowledge in a casual way makes you a shoe-in. We appreciate all your hard work! Seeing your tutorials on u tube are fantastic. You are so good at photoshop, I just love watching your videos. Maybe I’ll see you at upminster camera club where I am entering the competition. Keep the great tutorials up. Sorry Having I called you having and not having. Something wrong with my keyboard. You are one of the reasons I decided to start photography. Way back when, I used to only watch your PS videos and then one day decided photography was the natural progression for me. So thanks, Gavin, for all your tutorials and inspiration. And Congratulations!! Congratulations on your adorama venture, I’m pleased you will be bringing more top quality tutorials out, can’t wait. I am new to photography and you have inspired me. I also love clarity lol. Keep up the good work.